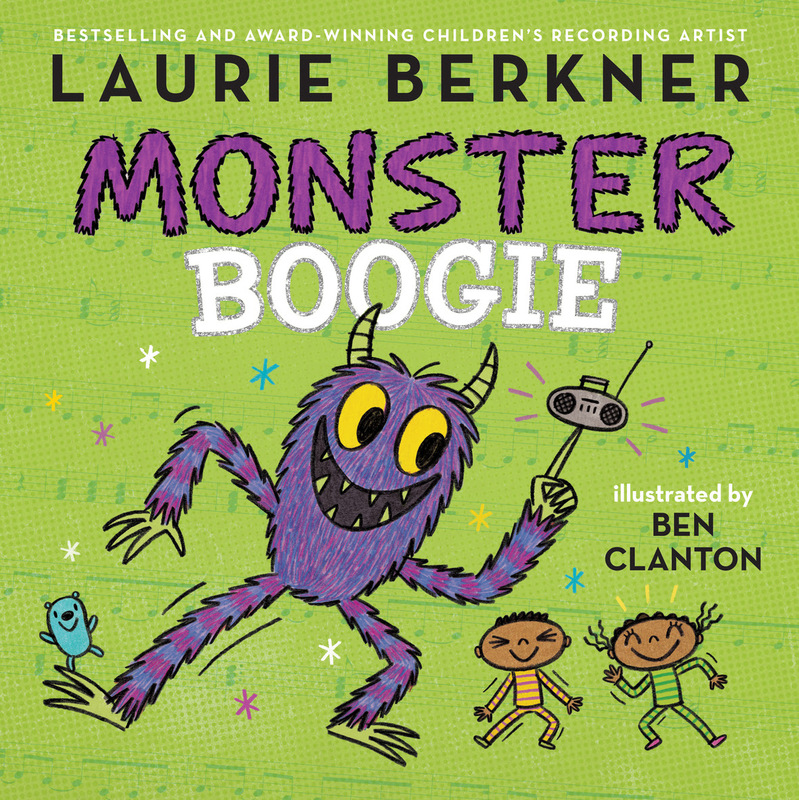 Kids’ Music Legend Laurie Berkner’s “Monster Boogie” Book is AVAILABLE for purchase! Boogie away those bedtime fears, and let out your inner monster! 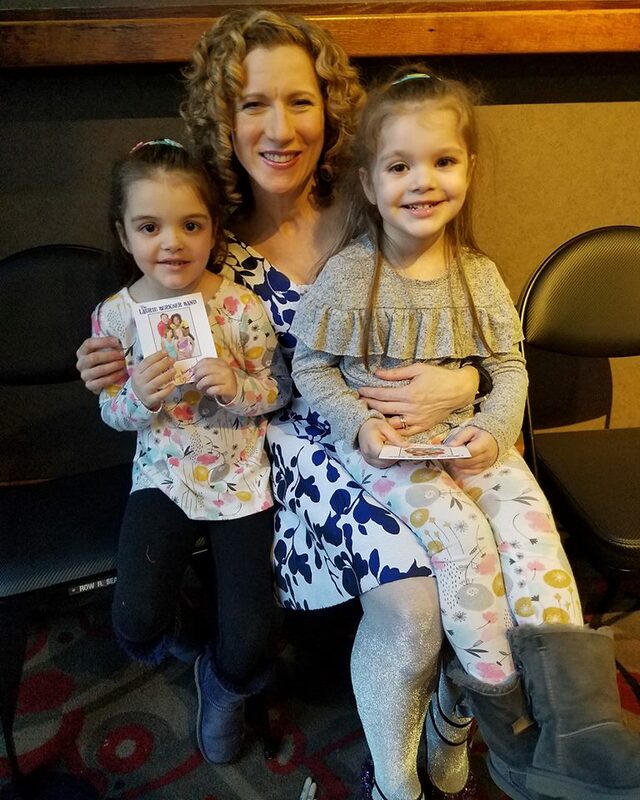 Award-winning and bestselling children’s music star Laurie Berkner’s irresistibly fun song, “Monster Boogie,” is now a groovy and adorable picture book. Laurie pairs the lyrics of her infectious hit with Ben Clanton’s monstrously playful illustrations in Monster Boogie. Laurie Berkner, crowned “the undisputed queen of kindie rock” by USA Today and “the Adele of the preschool crowd” by The New York Times, is widely recognized as a pioneer in the “kindie” music genre. Her music speaks to kids without talking down to them, charming youngsters without boring grownups. Sheet music for the “Monster Boogie” song is included on the inside back cover of the book. Monster Boogie, a must-have for fans of Laurie, dancing, and all things monstrous, may be ordered on the Simon & Schuster website HERE. 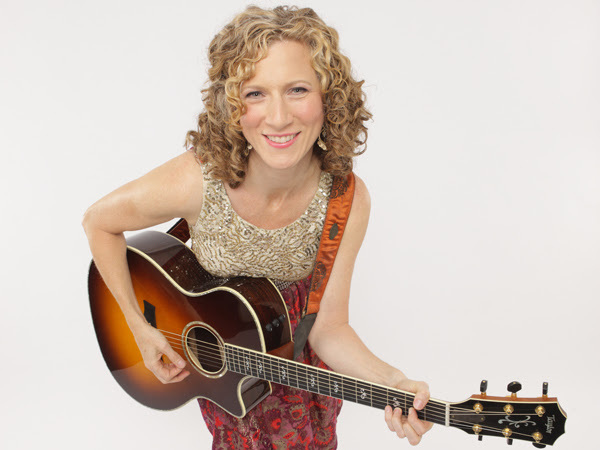 A former preschool music teacher by day and indie rocker by night, Laurie Berkner is a singer, songwriter, lyricist, author, and founder of her own label, Two Tomatoes Records. Monster Boogie is Laurie’s third picture book with Simon & Schuster. 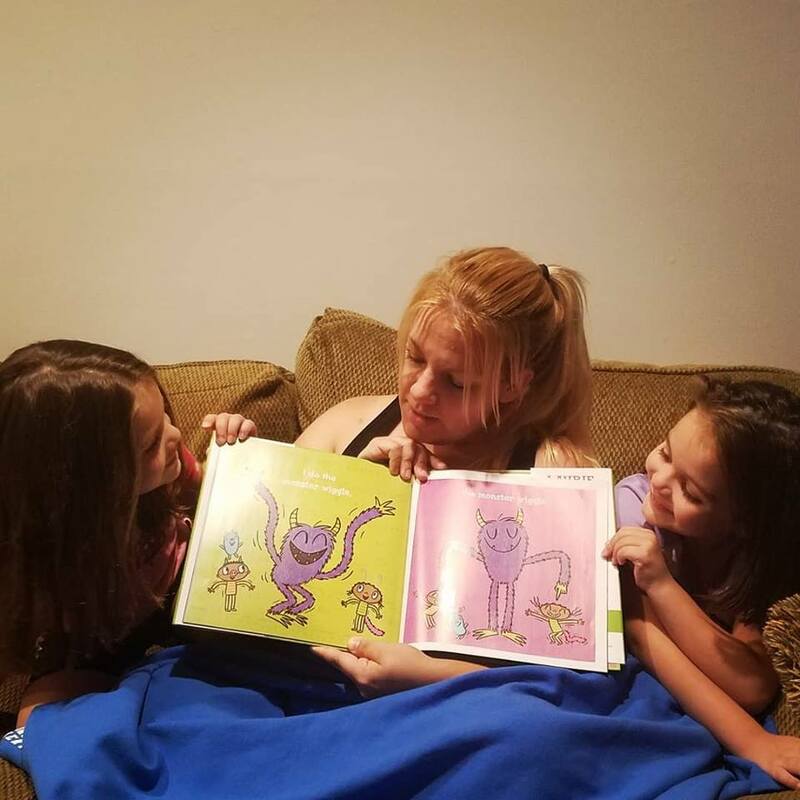 The first, We Are the Dinosaurs, was published in March 2017, timed to the 20th anniversary of the first recording of Laurie’s chart-topping “We Are the Dinosaurs” song, and the second, Pillowland, was published in November 2017. Laurie has released twelve bestselling, award-winning albums, was the first recording artist ever to perform in music videos on Nick Jr, appeared regularly on that network’s Jack’s Big Music Show, and helped develop the short-form animated musical preschool series Sing It, Laurie! on Sprout TV. Her music videos now appear on NCBUniversal’s Sprout House and The Laurie Berkner Band’s YouTube channel. 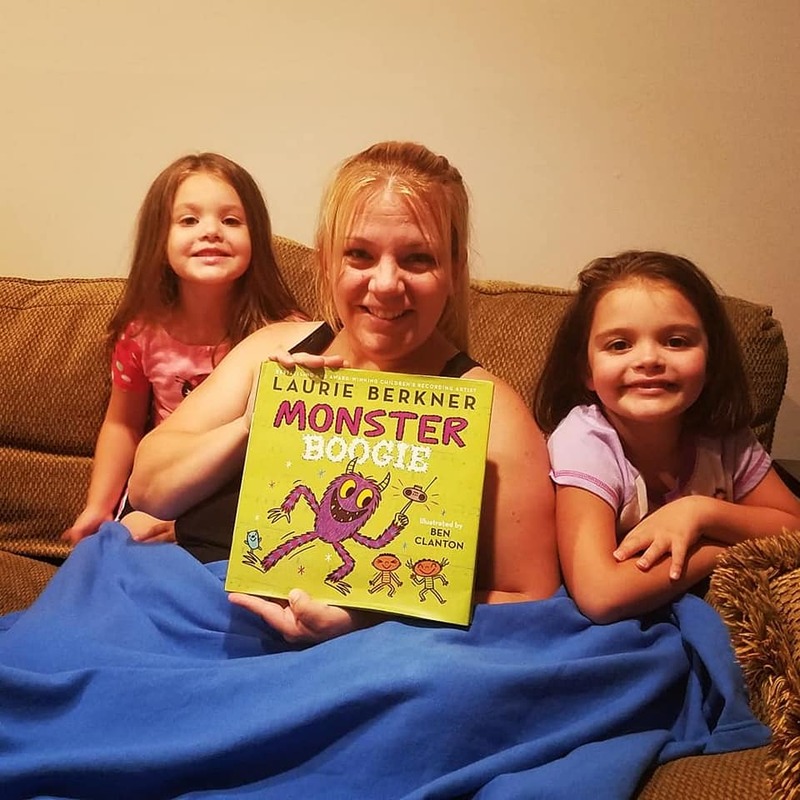 Laurie has written the music and lyrics for three Off-Broadway children’s musicals, including Wanda’s Monster, which features the song “Monster Boogie.” Laurie tours nationwide, performing both solo and with The Laurie Berkner Band. Learn more at LaurieBerkner.com. Ben Clanton likes to boogie. He also likes to draw monsters. Sometimes he draws monsters while he boogies. Ben also makes books. Books like It Came in the Mail; Something Extraordinary; Rot, the Cutest in the World; and the Narwhal and Jelly series. Ben makes books, boogies, and draws monsters in Tacoma, Washington, where he lives with his wife, son, and wild goldendoodle. Visit Ben online at BenClanton.com. We highly recommend adding Laurie Berkner’s latest book to your home library!